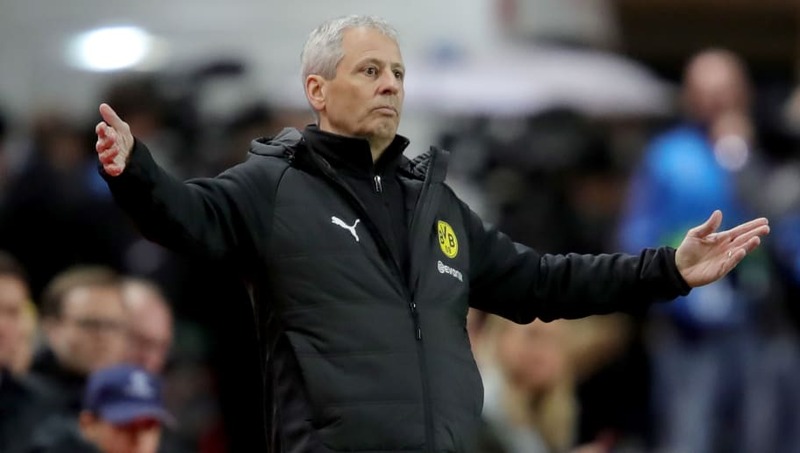 ​Borussia Dortmund manager Lucien Favre admitted his side 'made life difficult for themselves' during what was ​a hard-fought 2-1 win against Werder Bremen at the Signal Iduna Park. First-half goals from Paco Alcacer and Marco Reus put the home side in a commanding position, before Max Kruse's stunning volley for Werder Bremen ten minutes before half-time made the hosts work for the three points right until the end. The win, which extends ​Dortmund's lead at the top of the ​Bundesliga to nine points, also sealed the Herbstmeisterschaft for BVB, although Favre cared little about the achievement, with his attention now shifting to their next game against Fortuna Dusseldorf. "We're satisfied, but becoming winter champions doesn't mean so much," Favre said post-match to Sky, as quoted by the ​club's official website. "We have another two games left. The next is the very important game in Dusseldorf on Tuesday. Today we made life a little difficult for ourselves. We had eight clear chances and could've made it 3-1. Our opponents today were very good." Dortmund have two games before the upcoming winter break, with Favre's side facing Die Flingeraner away from home this coming Tuesday, before rounding off 2018 on Friday with a tricky home game against one of the chasing pack in the shape of Borussia Monchengladbach. Die Schwarzgelben remain the only team in the Bundesliga this season that are yet to taste defeat, as Favre hopes to guide Dortmund to their first league title since Jurgen Klopp managed the feat in the 2011/12 campaign.